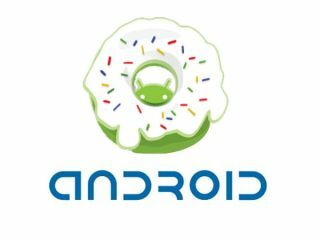 The latest version of Android (1.6 or Donut) has debuted for developers, and while Google isn't calling it a major change, it does bring a good few difference to make the OS a lot more compelling. One of the major changes with the new Android update is a new 'Quick Search' box that essentially exposes all elements of the phone to find the file or whatever you need, meaning you can look for a contact, application, bookmark or extend the search out to the web. Applications developed for Android 1.6 can also take advantage of this framework too, meaning you can look for elements within them in the future too, which will be handy when your menu list gets as long as your arm. Some of you may think this is a little like Apple's new Spotlight feature on the iPhone - you'd be right, as it's pretty much identical. But Google = search, so it makes a lot of sense to put it on Android too. Google is also improving the way you interact with your media in the Donut upgrade, as it's pretty basic at the moment. The main difference is starting up the camera (which currently takes an age) will be 39 per cent faster, with processing up to a quarter faster, meaning you can move on to the next snap much quicker. And when you inevitably take oodles more rubbish photos you'll be able to delete multiple pictures with the new upgrade, which will make life a lot easier. One of the problems the Android OS faces is the fact it has a very limited camera interface, and that's been slightly addressed in the 1.6 upgrade. The camera screen now allows you to toggle between the camera and the video recorder with a little touchscreen button, meaning you don't have to mess around in the menu system when you want to capture something funny your cat's doing in real time. Android's picked up a new function thanks to a speech engine called Pico, making it possible to talk to your phone and make it do things. The new speech synthesis engine will even be able to recognise accents within different languages, making those from the more obscure regions with odd dialects as audible as anyone else. If you're using legacy devices such as the G1 and the Magic, you'll need to download a new element to bring the voices to the phone, but we assume Google will make this obvious when the time comes. If you've ever wondered where all the power has gone on your Android phone, with the battery running down faster than Usain Bolt, then this feature will please you. The new function won't be able to stop the problem by itself, but it will give you a list of all the running applications and how power-hungry they are. So if you find that Twidroid is nabbing all your battery, perhaps you can turn it off in the evening rather than watching the wibblings of your drunken friends.